Beginning March 8th, monthly All Star Batting Cage fundraiser on the 2nd Friday of each month. March 30th, Brendan's Dodgers game fundraiser with proceeds to CVLL. April 9th, Dave and Busters CVLL party fundraiser. April 23rd, Dojo Boom CVLL fundraiser. 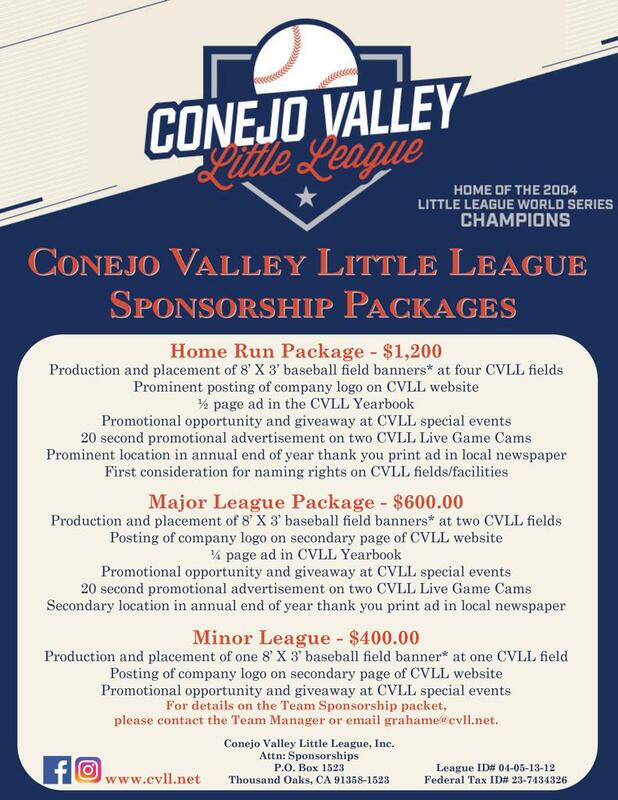 2019 CVLL sponsorship opportunities available. To learn more, contact Grahame Watts at Grahame@cvll.net. or you can register below online.